I thought it would be a fun and important project to sort out the tax, business, and labor law implications of these “in between” transactions. However, when I got knee deep into the research, I found that things got rather soupy. Soup for Money: If I were to own a gourmet soup restaurant, the tax, business, and labor law questions are fairly straightforward. The income I make would be taxable and sales tax would apply (in most states). I would be subject to health and safety laws, permitting requirements, and other business regulations. The people who help out in my kitchen would be legally considered employees, and I would be obligated to pay them minimum wage, obtain workers compensation insurance, pay payroll taxes, and so on. Soup for Me: On the other hand, when I make a pot of soup at home for myself and my partner, neither I nor my partner pay tax on it. (The value of the soup we create ourselves is what’s called “imputed income,” but the IRS doesn’t ask us to pay tax on it.) I don’t need special business permits, and when my partner helps chop veggies, she does not become my employee. But once we go beyond these straightforward examples, making soup is definitely not cut and dry. I should warn that having a vast body of laws and regulations doesn’t mean that we actually know how to interpret them. Courts wrestle with the meaning of laws on a case-by-case basis, and that’s where we learn how to interpret laws. When things end up in court, it’s generally because there’s a lot of value at stake, like in a car accident lawsuit or major tax evasion case. Truth is, the IRS doesn’t very often bring people to court over tax owed on a free guitar lesson received in exchange for babysitting. Definitely not often enough for us to have much case law to go on, or to know how to interpret the rules. The rules more or less say that barter is taxed and gifts are not. (For details, see Treas. Reg. § 1.61-1; IRS Publication 525; and 26 USCS § 102.) But in an informal economy, there are infinite ways to give and receive, and the line between barter and gifting could be unclear. Furthermore, it’s hard to know how far the taxing of barter income actually extends. The IRS rule on barter, as written, appears to tax any good or service you receive in exchange for any other good or service. In practice, however, it’s probably not such a blanket rule. The IRS doesn’t seem to concern itself with one-time, casual, non-commercial exchanges of goods or property. Administratively, it would be a hassle both for taxpayers and the IRS to report the plums I gave my neighbor in exchange for his figs. Unfortunately, it’s hard to say at what point a barter arrangement has become sufficiently formal, commercial, or regular to be something that you should report. There are also gray areas in designating what, exactly, is a business and what is an employee. As the informal economy begins to flourish, we may be surprised to sometimes find ourselves, unintentionally, operating a business, or, unintentionally, employing someone. 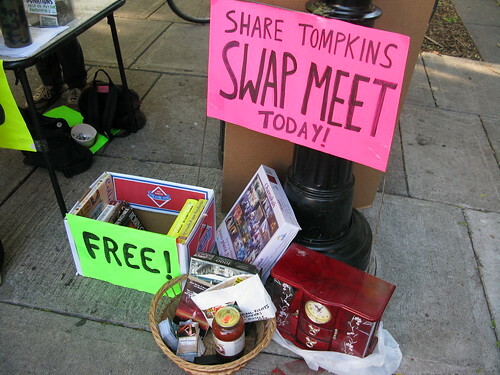 Gift Economy Soup: Now what if I start having weekly soup parties and my friends start doing things for free too? As the spirit of giving and generosity grow, friends might offer free massage, gardening, computer help, handy work, or other favors. Other friends hold weekly salad nights, curry nights, or cook-out nights, and I get free dinners every day of the week! In this circle of giving, no one is obligated to give or receive anything, and no one is officially keeping track of who gives what and how it should be valued. What are the legal implications here? Since the giving occurs among friends and comes from a place of generosity, shouldn’t it be tax free? And because there are no contractual expectations of compensation and because people aren’t bargaining for things at a market prices, these activities aren’t commercial, are they? I would say that’s probably right, but it’s hard to answer these questions with complete certainty. Slight variations in the above scenario could cause it to look more like example #3 (Barter Soup) or #6 (Soup Enterprises), which probably are taxed and regulated as businesses. Barter Soup: Now what if my accountant offers to prepare my taxes in exchange for coming to five of my famous soup nights? Deal! But what does it mean legally? This example differs from the above Gift Economy example, because now we have a direct exchange that we’ve bargained for, and we have a binding verbal contract for barter. As discussed above, it’s not clear to me that all barter is taxed, but this arrangement is something the IRS would want us to report. Another question to ask here is: am I now accidentally operating a soup business? Since I have a binding and bargained for agreement to receive valuable services as “payment” for my soup, I’ve essentially sold soup to my accountant. Regulation of business comes from all kinds of agencies – health departments, planning departments, state tax boards, and so on. In the eyes of some agencies, selling soup even one time is not acceptable. Since the law varies from place to place, and from agency to agency, the main thing to remember is: be careful and do your research before you accidentally find yourself in business. 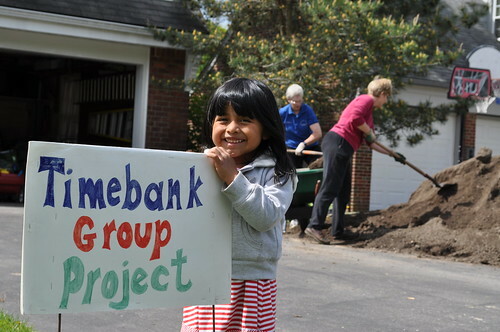 Time Bank Soup: To continue expanding on the soup scenarios, my next project could be going to the homes of elderly and disabled to help with cooking. Because they and I are part of a local time bank similar to the Japanese Furaei Kippu (“Caring Relationship Tickets”) system, for each hour that I spend helping out, I am credited a “time dollar” through an online accounting system. Later on, I could redeem each “time dollar” for an hour of someone else’s time. In three rulings, the IRS has given some vague indication that they aren’t interested in taxing exchange of services like this. They give at least two reasons: 1) The exchanges are informal, meaning that I get no contractual right to have my favor returned. 2) The exchanges are non-commercial, meaning that they aren’t bargained for at market rates; whether I spend an hour cooking soup or an hour providing legal advice, my hour is valued at the same rate, and all transactions are an-hour-for-an-hour. Those tax rulings are not supposed to be relied on as precedent, and there is disagreement about how they should be interpreted. Still, they provide some of our only clues about what the IRS views as being outside the realm of taxation. Soup Enterprises: Moving on with my soup scenario, now my soup has become so popular that I make multiple pots of soup every day, invite people over to share it, or put it in mason jars for people to pick up on my door step. No one ever pays me U.S. dollars for my soup, but I have been able to use soup to “pay” for most of what I need. I now get “free” health care, bike repair, fresh produce, and many other necessities and perks in exchange for soup. Even with no money changing hands, chances are that I’ve suddenly found myself in the soup business, and should pay tax on the value of most of what I receive in return. I will need a business license and various food-related permits. Also, as crazy as it sounds, when my friends come over to hang out in my kitchen and help me chop veggies, the law says I should be paying them minimum wage. 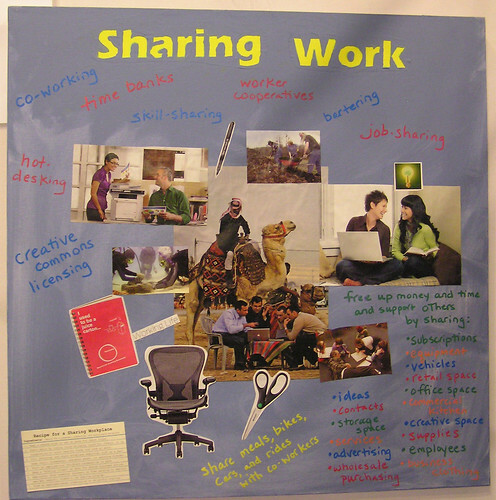 A collage made for for the Sharing Solution booth at the 2009 San Francisco Green Festival. Credit: Janelle Orsi. Soup Bucks: Finally, I can take my soup operation one step further and start creating soup gift certificates. If I “buy” things with soup, it might be more convenient to give people a certificate that they can redeem for soup when they need it or which they could give to someone else. In fact, the U.S. Dollar came about in a similar way, except that it was backed by gold, not soup. If my “Soup Bucks” start circulating within my local community, they essentially become a local currency. Each certificate has value not only because it can be exchanged for soup, but because it can be exchanged with anyone who is willing to accept it. The success of Soup Bucks as a currency will be based on the community’s trust in my ability to keep on making soup. Starting your own currency and printing paper money is a legal and legitimate thing to do in all but two states, and with some limitations. But if you plan to back the currency with a guarantee of particular goods or services, then it’s possible that the currency also meets the definition of a gift certificate, which is a form of contract and has various regulations attached. Even with all the annoying legal grey areas and hurdles, transacting without regular money is one of the most important things we can do to transform our economies. But why should we even delve into this world beyond money? After all, hasn’t our national currency been a useful and efficient tool for transacting with one another? Yes, in theory. The scarcity of money could actually be our good fortune if it forces us to see that value remains even when money does not. In reality, we have a wealth of valuable people, skills, goods, time, and potential in our communities. This value is highly unrecognized and underutilized because we’ve all had a lifelong dependence on transacting almost exclusively with our national currency. Transacting through barter, gifting, time banks, and other creative means will instantly open up potential for strong, localized, and sustainable economies. While you can’t use “Soup Bucks” to shop at Target or Safeway, you may be able to use Soup Bucks to support local crafts people, micro-farmers, small manufacturers, and friends who can help you meet your needs. Rather than struggling to compete with multimillion-dollar companies, a new generation of micro-entrepreneurs will thrive on new kinds of transactions. 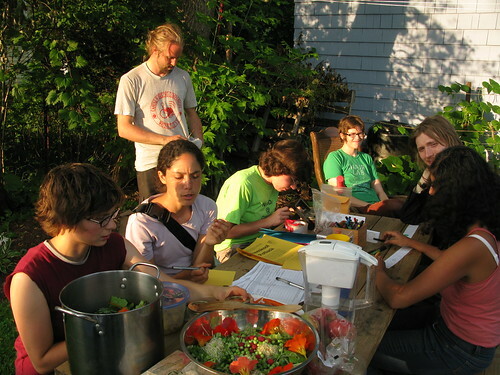 The new economy comes hand-in-hand with more connected and supportive communities – neighborhoods where people know each other, circles of acquaintances who actively support each other, and more widespread use of cooperatives as a way to feed, house, and provide for ourselves and others. The new economy not only gives as a means to survive; it gives us a great way to live. This is the first in a series. In the next entry, we look more closely at the legal nuts and bolts of the gift economy…. This article was an attempt to give readers at least some sense of orientation in relatively unsettled or uncharted legal territories. When legal definitions are unsettled, the best that we can do is 1) gain as much understanding as we can, by reading laws, regulations, tax rulings, and court cases, and 2) based on that information, make good faith and reasonable determinations about how to classify our activities. Sometimes, you may get the answer wrong, which means dealing with the consequences when the IRS, Department of Labor, or other agencies come calling. It’s up to you to decide what risks are worth taking.